I like the new year’s resolution, Pozole! I’ve also been feeling like it’s time to turn up the heat around here. Luckily Pozole and Smokestack have been doing just that for a while, but it’s time to do my share. Here are two records I’ve been meaning to track down for a couple of years (without paying a fortune for them), and finally got a hold of. We keep coming back to Fruko; we’re neither the first ones nor the last ones to pay tribute to him. You probably know El Preso. Classic! But the man is behind so much more of our favorite Colombian music (Michi Sarmiento, Corraleros de Majagual, Wganda Kenya, Afrosound, Joe Arroyo, Latin Brothers…) and was pretty fundamental in shaping the sound of Colombian salsa in the 70s: rooted in the cumbia tradition, and incorporating a Nuyorican style horn section, a punk rock attack, and a good dose of flower-powered experimentation. 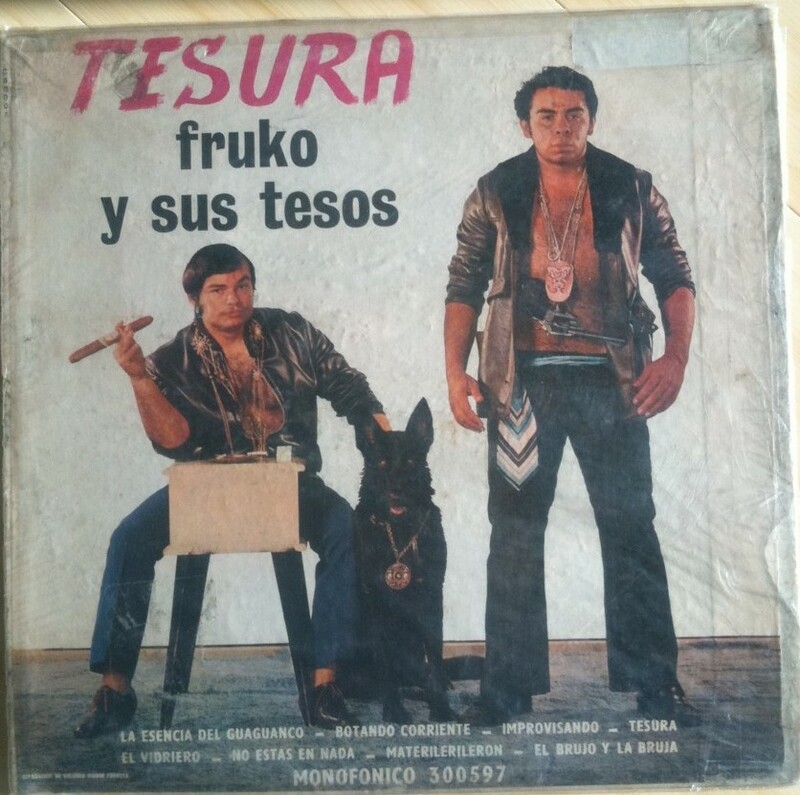 Fruko y sus Tesos started out heavy with “Tesura”, of which supposedly there are only 400 copies. How’s this for an introduction? but he got soulful too. If you don’t speak Spanish, you might never guess that now he’s heartbroken, telling the lady who left him how much she will suffer. Much more Fruko here, and probably more later on. This entry was posted in PELANGA RECORDS! and tagged Ayunando, Colombia, Fruko, Joe Arroyo, Salsa, Tesura by Papicultor. Bookmark the permalink.